The results are in! After months of fundraising for the 2017 Dallas Race for the Cure, we are happy to announce we raised nearly $1.3 million! We couldn’t have done it without the over 13,000 attendees, 673 teams, tireless fundraisers and our loyal corporate sponsors. 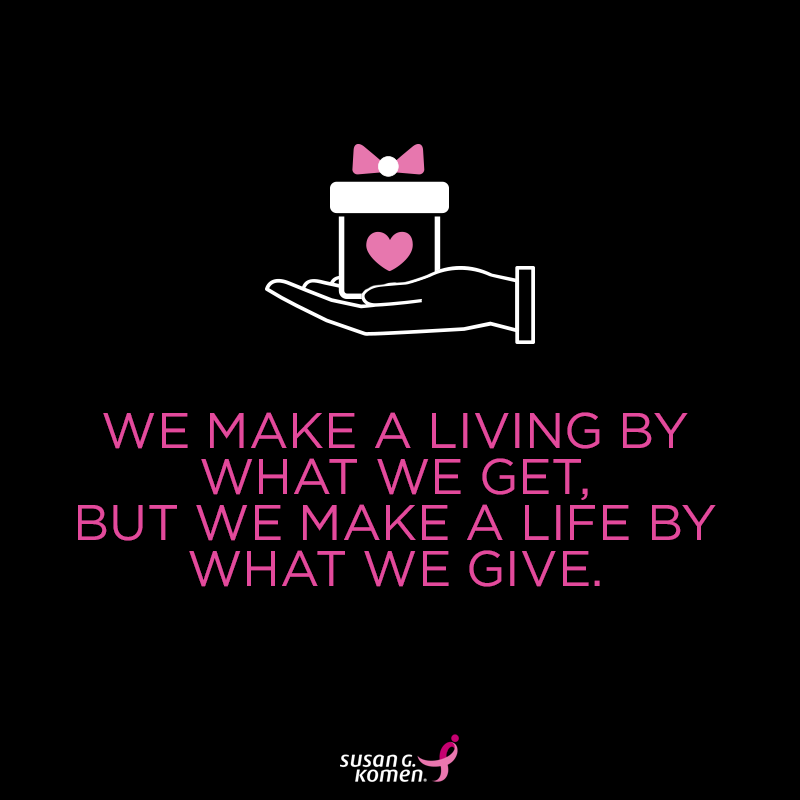 Because of you, we will continue to provide women and men in Dallas County with life-saving breast health services. Don’t forget to mark your calendars for next year’s Race on October 27, 2018! We urgently need your support to ensure that we are able to continue to provide vital local breast-health services, and so much more to those affected by breast cancer in Dallas County. Your donations will also help fund breast cancer research at a national level to help end this horrible disease that impacts so many people. With 2017 coming to a close, this is the time to make a year end gift, and wrap up the giving season. Can we count on you? Donate today! Want to turn your holiday crafts and treats into life-saving health resources, or convert a holiday party into a party with a purpose? It’s as easy as requesting donations to partake in your holiday fun! 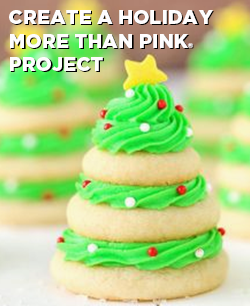 Komen Dallas County has a one stop digital platform where friends and family can donate to your DIY fundraiser online. Check out how you can transform your holiday traditions into impact here! Now more than ever is the time to call and email your representatives. 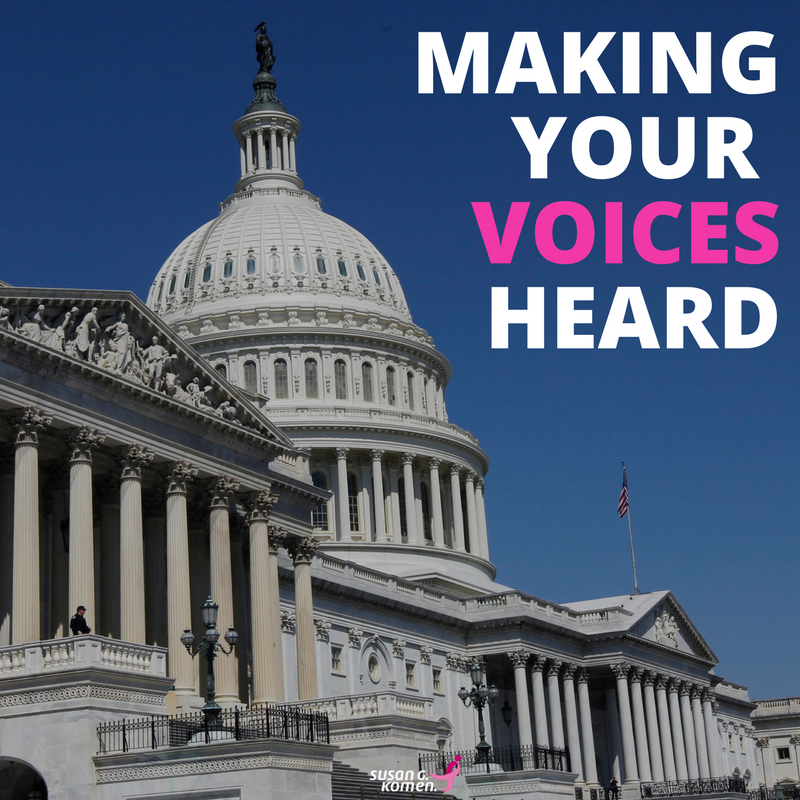 With the passing of the tax reform bill in the Senate, now is the time to make our voices heard to the House of Representatives. If the bill is passed, it will reduce the tax incentives to households that make charitable donations, and will potentially decrease charitable giving by $13 billion. The bill will also severely weaken the Affordable Care Act (ACA) by repealing the individual mandate component of the ACA. Please contact your Representatives today. Every year Susan G. Komen® recognizes the dedication, hard work and outstanding accomplishments of some exceptional people who are bringing us closer to a world without breast cancer with the Brinker Award, the highest scientific honor awarded by Komen. 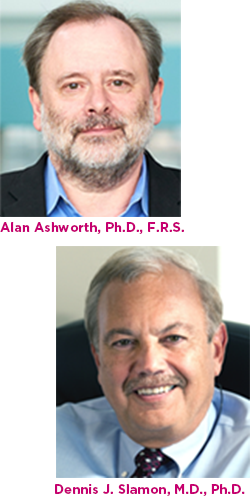 This year, two widely respected and accomplished breast cancer investigators join the ranks of an esteemed group of scientists as recipients of the Brinker Award. For the last two decades, Dr. Alan Ashworth, Ph.D., F.R.S., has focused his research on exploiting genetic deficiencies in cancer to develop new therapeutic approaches to the disease. Dr. Dennis J Slamon, M.D., Ph.D., is being honored for his influential contributions in laboratory and clinical research that helped define the role of the HER2/neu gene in breast cancer and laid the groundwork for the development of targeted therapies, including trastuzumab (the first targeted therapy for HER2+ breast cancer) and palbociclib (a CDK4/6 inhibitor used to treat estrogen receptor positive [ER+] breast cancer). Read more here!